in those days | Flickr - Photo Sharing! "As long as Hanukkah is studied and remembered, Jews will not surrender to the night. The proper response, as Hanukkah teaches, is not to curse the darkness but to light a candle." Flailchest, dr.milker, catklein, and 143 other people added this photo to their favorites. notevole lavoro:happy Christmas to you! LOvely words & image Robert. Happy Hanukkah Robert. Beautiful, Robert! A bit late, but Happy Hanukkah to you and yours! !...and the best of the season's joy! This is beautiful! Happy holidays!!! Happy Hanukkah and merry Christmas, beautiful!!! A super picture, well done. What a wonderful photo, Robert. It is so joyful and in the spirit of Chanukah ! a wonderful image of chanukah. very nice, colors and light. Absolutely beautiful, Robert. Love it so much! 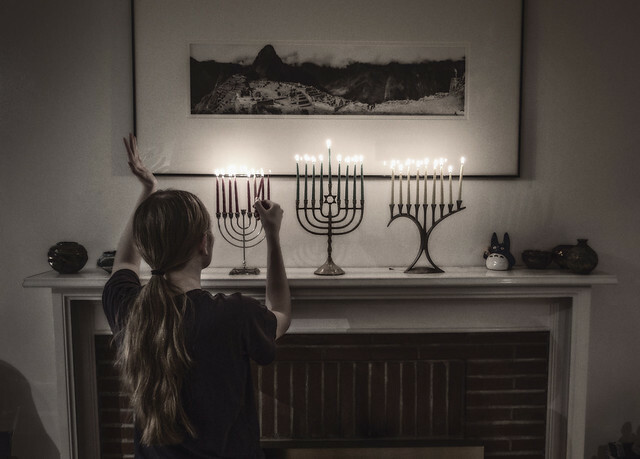 Gorgeous photograph ... First I've ever seen oh a menorah lighting!